As a writer, blogger and professional content creator, I’ve noticed that the people who approach me about writing often fall into two camps: those who want to invest in content and those who want content without the investment. Some freelance marketplaces give the impression that good content is cheap, and if you have a limited budget, that can seem appealing. Don’t fall for that. 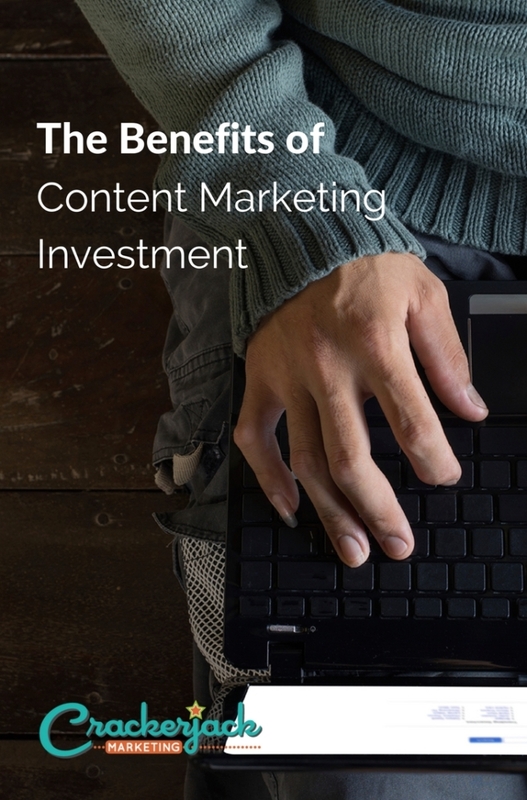 Failure to invest adequately in content marketing hurts your business. Here’s how. First, you won’t get the right writers to work with you. If you pay peanuts you won’t attract the kind of writers who will enhance your brand. If you want a professional writer, it will cost you. Good content is simply not available at $10 for 600 words; great content has an even higher price tag. Some of the blogs with the best content pay hundreds of dollars per post. Second, your writer may not stick around. Consistency and reliability help you connect with customers but underpaid content creators soon move on because they need to earn more and there’s no incentive for them to stay. That’s bad for your content marketing strategy because you constantly have to onboard new content creators and you will find it difficult to get a consistent voice for your content and a reliable content flow. So what do you get if you allocate a decent budget for content creation? You get content creators who function as partners, actively working to make sure that content meets your needs. And you get experienced professionals who know when to stick to your style guide or when to inject a little personal flair. You get writers with experience of writing, some industry knowledge and the ability to add value to your content (for example, by creating tweets to accompany a piece of content). You get a level of excellence that makes your brand stand out for your target customers. And you get content that it’s easy to market. 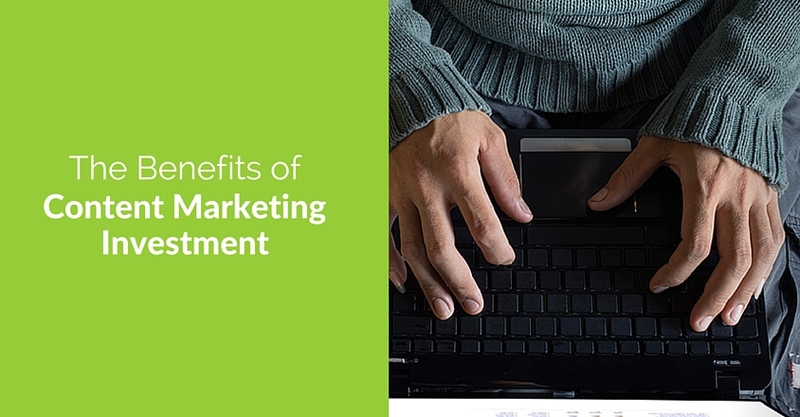 The other reason it pays to invest in content marketing is because of the results you get. Dig deeper into reads, shares, links and referrals in your analytics and social analytics software and you will see the difference that good content makes. That’s the content part of content marketing, but the marketing element is also important. Once you have nailed content creation, there’s a lot of behind-the-scenes activity to ensure that content works for you. For example, the Crackerjack Marketing team ensures that every piece of blog content gets shared multiple times on multiple platforms on a rotating schedule to give as many people as possible the chance to see it. A marketing firm will help you create shareable graphics to accompany a blog post, craft social media updates and schedule those regularly after working out the best possible timing so people can see and share your content. And the firm can also help you respond quickly when your social connections share and comment on your content. The bottom line: investing in content marketing is one of the best ways you can promote your business. 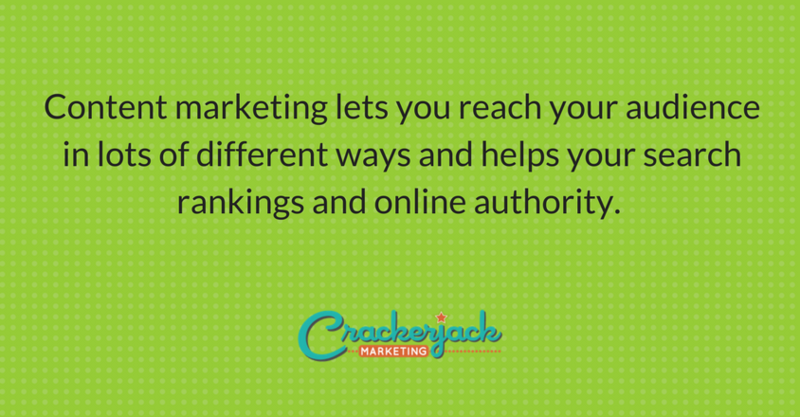 Ask how the Crackerjack Marketing team can help you.